Let’s Change our Habits and clean up the Environment NOW! Say NO to single use plastic bags and support QVM’s initiative…and let’s help the traders by bringing our own reusable bags. We could start today! QUEEN VICTORIA MARKET COMMUNITY SURVEY. Did you know that Australians use over 9.5 billion plastic bags a year and that many of these bags end up in landfill or as litter in our rivers and oceans where they pollute the water and harm wildlife? 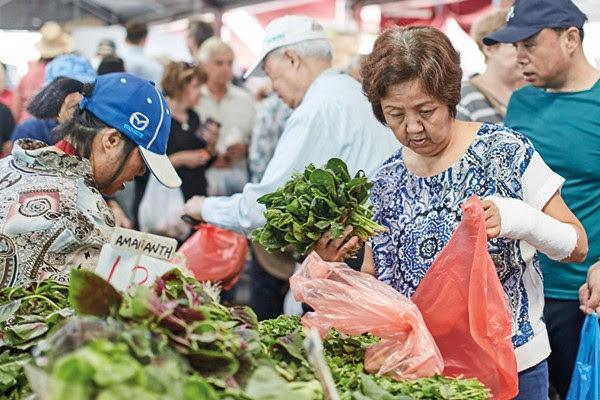 Ahead of State Government legislation, Queen Victoria Market intends to take a stance on this environmental issue. QVM would welcome your feedback in this 30-second survey.